During your course, you will learn how to make some goods. Simply choose from the following list and call us to book! 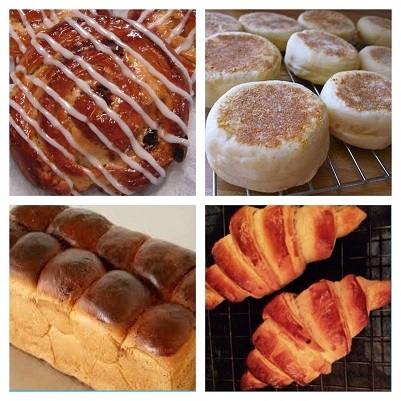 If there is anything else you would like to bake that is not shown, please contact us as we are sure we can help and will be able to arrange a course to suit you. Everything you make on today's course is yours to take home and enjoy! All refreshments, raw materials, recipes to take home and equipment for use are included. 1 to 1 tuition is also available at a cost of £40 an hour. Category: Bread Baking Classes ..
Be the first to review “Fermented Goods” Click here to cancel reply.